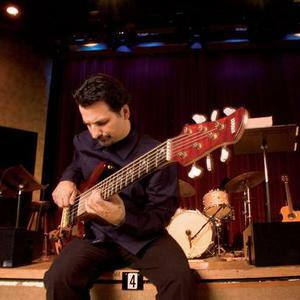 One of the top bassists of the 1990s (on both acoustic and electric), Patitucci's speed, very clear tone, and versatility are quite impressive. He started playing bass when he was 11, grew up in Northern California, and in 1978 moved south near Los Angeles. He played with Gap Mangione (1979) while going to college, and during 1982-1985 worked in Los Angeles with Tom Scott, Robben Ford, Stan Getz, Larry Carlton, Dave Grusin, Ernie Watts, Freddie Hubbard, and others, in addition to becoming a studio musician. In 1985, he gained a high profile when he joined Chick Corea as a regular member of both the Electric and Akoustic bands. Patitucci toured and recorded extensively with Corea and made a series of his own diverse sessions for GRP and Stretch. John Patitucci left the Electric Band in the early '90s but continued working with Corea on an occasional basis.